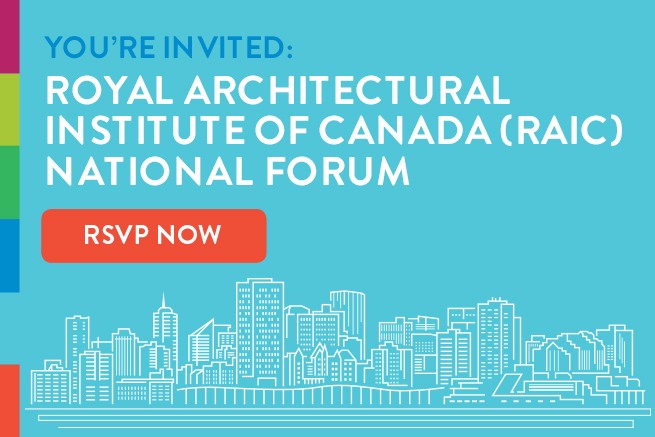 OTTAWA, November 8, 2018– The Royal Architectural Institute of Canada (RAIC) will hold a national forum in Edmonton on December 6 to explore challenges, opportunities, and new directions for architecture in Alberta and Canada. The cost is $50 and includes lunch, refreshments, and a one-hour continuing education session titled Practical Contracts: Using RAIC Documents Six and Nine for which participants will receive a certificate. Students may register for $30. Registration is open until November 29.
the 2019 Festival of Architecture. The one-hour continuing education session will review the new RAIC Document Six 2018: Canadian Standard Form of Contract for Architectural Services, and Document Nine 2018: Canadian Standard Form of Contract between Architects and Consultant. There is no cost to attend the forum only from 2:00 p.m. to 4:00 p.m. (no continuing education or lunch provided). Mike Brennan, RAIC Chief Executive Officer. The RAIC is the leading voice for architecture in Canada. Activities include education, advocacy, professional development, practice support, public outreach and recognition of excellence. Its committees and task forces work to advance environmental sustainability, inclusive design, emerging practitioners, and reconciliation with Indigenous Peoples. The forum hosts are RAIC President Michael Cox, RAIC Chief Executive Officer Mike Brennan and RAIC Vice President of National Affairs Giovanna Boniface. The forum is the second in a series, following an event in Vancouver last August. The RAIC will be traveling to several stops across Canada to hear from members of the architecture community, including architects, graduate architects, regulators, educators, stakeholders, as well as community leaders. The Royal Architectural Institute of Canada (RAIC) has operated continuously since 1907 as the national voice for architects and architecture in Canada. Its mission is to advocate for excellence in the built environment, demonstrate how design enhances the quality of life, champion sustainability, and promote responsible architecture in addressing important issues of society. It is governed by a volunteer board of directors, comprised of architects from across the country. The board includes an intern representative and a representative of the Canadian Council of University Schools of Architecture.